Bakuon’s really settled into what it’s doing, and that means there’s not that much to talk about each week. But it adds up and it’s still worth taking a look at. Episode 8 brings us to the end of the year, and that means get-togethers for Christmas and New Years. The other thing it means is that Hijiri’s birthday is coming up, and she can get her license to ride. But being a rich girl, she’s already got one. 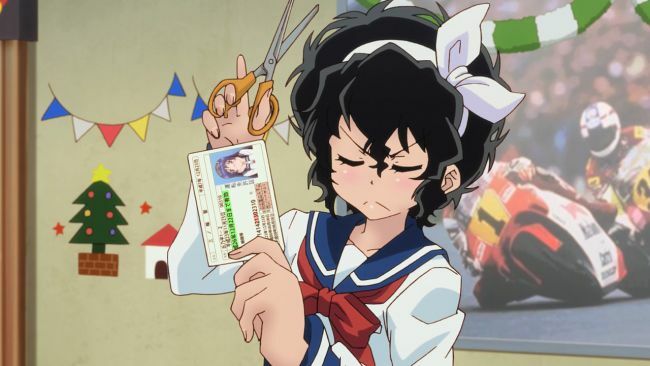 You can’t really say she earned it, tho, since she bought a license in another country and through reciprocity got a Japanese license issued. Onsa won’t stand for that, tho, and cuts it up to tell her to do it the right way. And it becomes obvious that wasn’t the way to go when she can’t ride the practice bike they buy for her, a Honda Super Cub, about the truckiest small bike you could get. 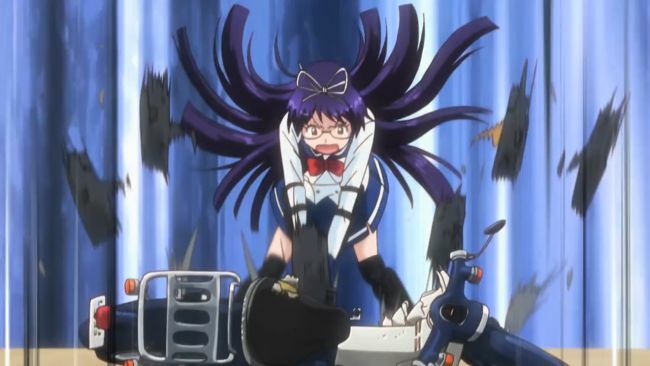 Hijiri even tries to beat the crap out of it when it disappoints her, and it starts up fine. 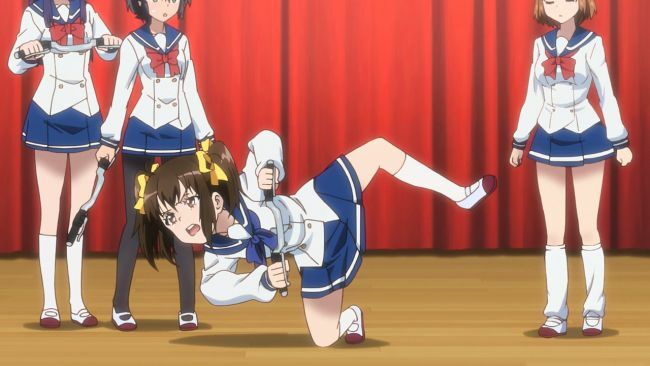 Eventually, Hijiri realizes she has to do it the right way, and gets a training license to go with her training wheels. Episodes 9 and 10 bring us a new character, since it’s time for new students at the club. And like most shows like this, it’s a focus on a single new person. Yume’s friend Chisame, who we saw at the Cultural Festival, is a successful minibike racer, but has herself a complex about her height, and specifically her short legs. So even though she’s a biker, and interested in the Bike Club, she’s reluctant to join, and even reluctant to try a street bike. She uses plenty of excuses: Bikes shouldn’t be ridden on the street, she doesn’t want to, real bikers shouldn’t let other people ride their bike. But all of them are solely to cover up not just her worries about her height, but also her lack of public riding experience. 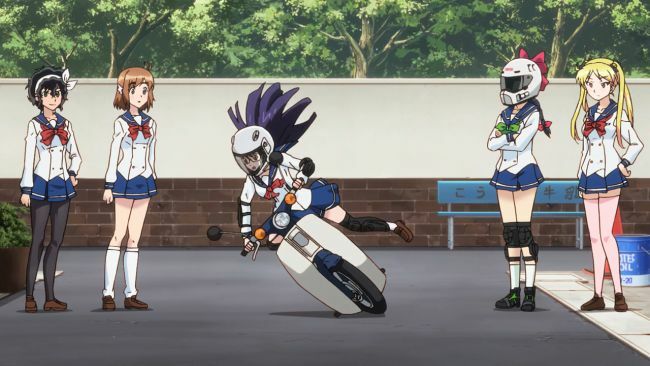 And even when she gets over the idea that she’s too short to ride a street bike, having learned from the other girls that they have to do special things to make the bike shorter as well, she still has a problem telling people that she doesn’t know how to ride a street bike. Since she’s won a lot of races, and her father is a professional motorcycle racer, everyone assumes that she already knows everything about it. Chisame’s just not good at speaking up, and gets a bit steamrolled. 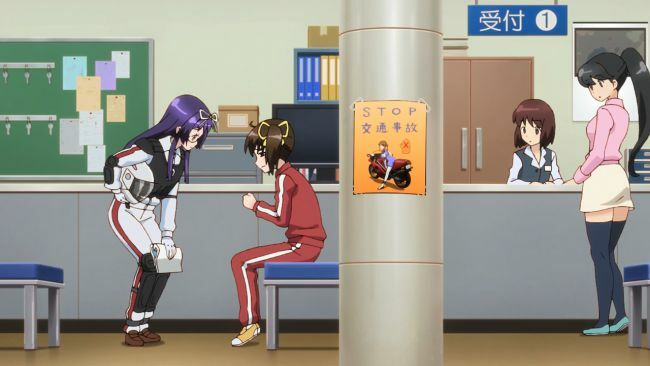 Finally, her desperation, realizing that she’s not been able to get any of the adults to teach her anything, leads her to beg Hijiri, in her class at the same time, to teach her about riding a motorcycle on the street. A normal holiday episode, and then the focus of the show shifted, I think too much, to Chisame. 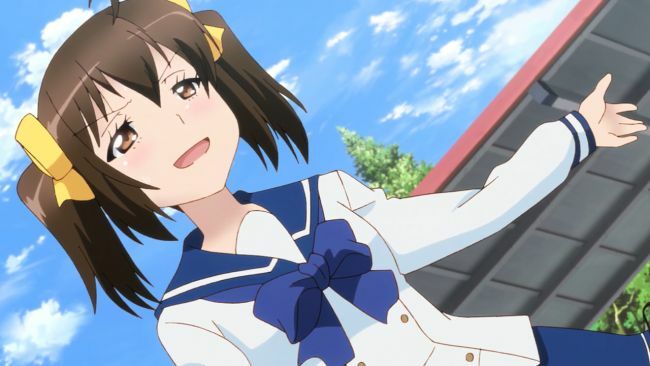 I’ll be honest: I didn’t care much for when K-On seemed to turn into the Azusa show for a few episodes after she showed up, and I didn’t really care for Bakuon!! turning into the Chisame show for these last two episodes. I’m not a fan of Chisame’s character type, the never saying what she says and avoiding honesty. 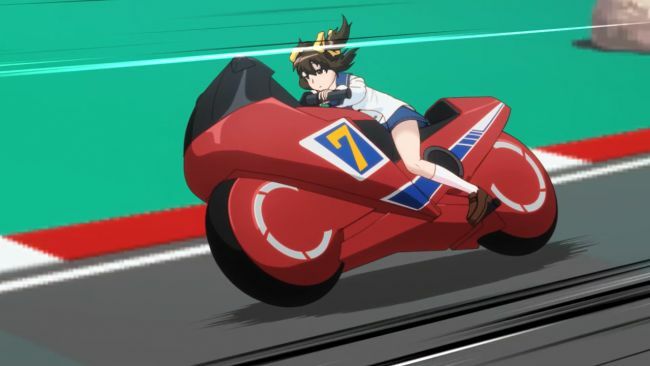 So I’m really hoping that the show will get back to much more of the original girls’ interactions, which has really been sidelined in the effort to get the audience up to speed on Chisame, and Chisame up to speed with the Bike Club. I found this a near 180 turn from Azunyan’s first episodes. Where K-ON used that to provide a measure in how the original cast saw the club, in Bakuon it’s all about how Chisame see’s the original cast. In her shoes, coming in as a callow youth, there’s a bunch of stuff to get straight with her, and that’s the idea she has in her head. It happens, and it’s interesting to see pre-conceived notions tried and tested.